All marriages have their ups and downs. This is especially true after a couple have been together for a number of years. The constant arguments and disagreements can really take a toll on both parties, leading them to become cold and spiteful towards each other. But while it is perhaps better for some couples to separate, many couples give up on their marriage way too soon without trying hard enough to work things out. Just ask any other relationship expert and they’ll tell you that the most rewarding and satisfying marriages are those that have overcome numerous obstacles and challenges. In other words, the more ‘storms’ your ride out with your significant other, the closer you will feel to each other, and the stronger your bond will be. Are you constantly disappointed with where you marriage is heading? Have you often wondered if there was anything you could do to save and enhance the love that you have with your partner? Do you often wonder about how you can turn your marriage life around for the better? Marriage is a commitment stay by each others’ side “for better or for worse”. It is a pledge that all married couples make in their wedding vow. But we can sometimes be so filled with anger, hurt and disappointment that it’s easy for us to disregard, and forget this vow that we’ve made. Thankfully, with today’s advanced Brainwave technology, we can literally ‘train’ our minds to want to work things out with our partner, such that all our actions and thoughts work synergistically together to save the marriage that we so dearly wish to keep. 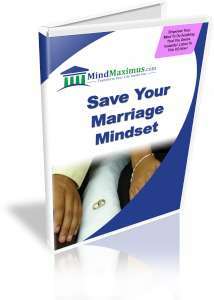 No reviews on C07 Save Your Marriage Mindset so far.